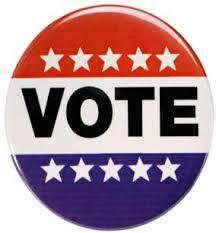 As November 3 comes closer, we are receiving lots of inquiries about Prop 1 which will be on the ballot. Below we answer some of the questions about what Prop 1 is and what it could mean for you. The last time the Homestead Exemption was voted on was back in 1997. Whether you are for or against it, we hope this quick Q&A will answer some of the questions about Prop 1. What will Prop 1 do? Prop 1 will increase your homestead exemption from $15,000 to $25,000. Prop 1 will assist seniors and disabled Texans with a lower property tax cap. Prop 1 will ban real estate transfer taxes. A homestead exemption means that your home isn’t taxed at its full value – instead, a certain amount of your home’s value becomes tax-free. In Texas, the current homestead exemption is $15,000, meaning if your home is valued at $100,000, you only pay taxes on an $85,000 value. Prop 1 would extend that exemption to $25,000, meaning you’d pay taxes on even less of your home’s actual value. A real estate transfer tax is a tax imposed on the sale of a home, which adds another tax to the home selling and buying process. Prop 1 will ban real estate transfer taxes. We trust you find this quick guide useful in making an informed decision in this coming election. Please feel free to contact us regarding where to vote, etc.